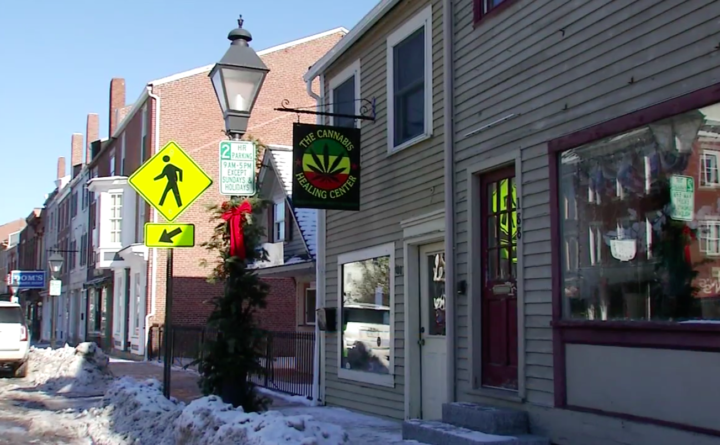 The Cannabis Healing Center in Hallowell was forced to close this week, its owner says. HALLOWELL, Maine — A medical marijuana business in Hallowell has been forced to shut down, after the owner failed to disclose a decades-old misdemeanor conviction on his application. Wilson said he was in disbelief, standing inside his empty medical marijuana shop on Friday. “Even at this very moment I’m losing possible revenue, so it hurts,” he said. The Cannabis Healing Center was forced to close this week after two years in downtown Hallowell. With municipalities now regulating pot shops, Wilson has been working to get a license. “They awarded one to me and then ended up taking it away,” Wilson said. On Monday, city councilors denied the license he had won in a lottery, saying Wilson failed to disclose a 1993 disorderly conduct conviction on his application. It’s something Wilson says he forgot about, but wasn’t intentionally hiding. At the same meeting, councilors did issue a license to the other lottery winner, even though she only disclosed one of her six convictions. One councilor said it’s because she came to the meeting, which showed good moral character. “I didn’t realize that I had to be there,” Wilson said. The decision has left Wilson confused, along with Catherine Lewis. She was the third applicant who didn’t get a license in the lottery, but heard she was awarded Wilson’s license on Tuesday. Lewis said when she went to pick it up at city hall, they wouldn’t give it to her. “I was elated and then I was saddened and it’s just a little bit frustrating at this point,” she said. City Manager Nate Rudy tells CBS 13 over the phone that the council is continuing to review the situation and isn’t issuing any licenses in the meantime. Rudy said Hallowell is one of the first municipalities to offer cannabis licenses and wants to make sure they get the process right. “The way it’s coming across is very concerning and unfortunately it makes all of us look bad,” Lewis said. She’s still hoping to walk away with a license. As for Wilson, he’s talking to an attorney in an attempt to save his livelihood. “If I sell cannabis in Hallowell then I will be arrested,” he said. The Hallowell city council met with legal counsel in executive session on Friday afternoon. Lewis said the council voted to hold another meeting on Monday at 5 p.m. and invited her and Wilson to attend.